Youth Justice contributes to community safety in Queensland by supervising children and young people (10 to 17-years-old) who come into contact with the youth justice system. This includes providing specific youth offender-based programs and services that hold children and young people accountable for their offending behaviour, encouraging their reintegration into the community and contributing to the safety of Queensland communities. There are 26 Youth Justice Service Centres across the state supervising children and young people on community-based orders. Service centres deliver offender-based programs and services to address the underlying causes of offending including health concerns, and connect young people with education, training and employment opportunities. Service centres also deliver restorative justice conferencing. These initiatives support young people in moving away from the criminal justice system. There are 2 youth detention centres in Queensland, located in Townsville and in Brisbane. Youth detention centres accommodate young offenders and offer health, education and cultural services – including individual case management, specialised counselling, education and training, and life skills to assist their transition back into the community. The services delivered by Youth Justice in Queensland are underpinned by the Youth Justice Act 1992 (Qld). Find out more about the legislation we manage. achieving the vision of the Aboriginal and Torres Strait Islander Cultural Capability Action Plan. Youth Justice has undergone a number of reforms both within the community and in detention to provide improved outcomes and services to children and young people in the youth justice system. Mr Atkinson was appointed as a special advisor to the Minister on 12 February 2018 and was requested to examine and advise on youth justice matters. The Strategy provides a whole of government road map for preventing and responding to youth crime in Queensland. T2S is an alternative education and vocational training program aimed at improving outcomes for young people within the youth justice system. This board helps us to develop culturally appropriate approaches to reducing over-representation of Aboriginal and Torres Strait Islander people in the youth justice system. The Independent Review into Youth Detention took place in 2016. 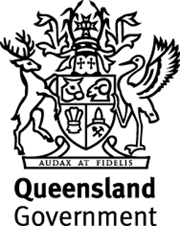 The Review examined the practices, policies and programs of Queensland's youth detention centres, and made 83 recommendations to the Queensland Government. The Youth Justice and Other Legislation (Inclusion of 17-year-old persons) Amendment Act 2016 commenced on 12 February 2018, meaning young offenders aged 17 will now be dealt with in the youth justice system. This Bond, known as the Reoffending Bond, will allow us to provide a multi-systemic therapy service to young people (10 to 16 years old) in the South East Queensland youth justice system. Documents and other resources relating to Youth Justice. Youth Justice is working to improve community safety and reduce reoffending by young people who have been involved with the youth justice system. Find out more.